O. Henry, pseudonym of William Sydney Porter (1862-1910), American writer of short stories, best known for his ironic plot twists and surprise endings. Born and raised in Greensboro, North Carolina, O. Henry attended school only until age 15, when he dropped out to work in his uncle's drugstore. During his 20s he moved to Texas, where he worked for more than ten years as a clerk and a bank teller. 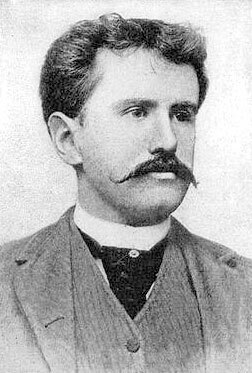 O. Henry did not write professionally until he reached his mid-30s, when he sold several pieces to the Detroit Free Press and the Houston Daily Post. In 1894 he founded a short-lived weekly humor magazine, The Rolling Stone. In 1896 O. Henry was charged with embezzling funds from the First National Bank of Austin, Texas, where he had worked from 1891 to 1894. The amount of money was small and might have been an accounting error; however, he chose to flee to Honduras rather than stand trial. Learning that his wife was dying, he returned to Texas in 1897 and, after her death, turned himself in to authorities. He served three years of a five-year sentence at the federal penitentiary in Columbus, Ohio, where he first began to write short stories and use the pseudonym O. Henry. Released from prison, O. Henry moved to New York City in 1901 and began writing full time. In his stories he made substantial use of his knowledge of Texas, Central America, and life in prison. He also became fascinated by New York street life, which provided a setting for many of his later stories. During the last ten years of his life, O. Henry became one of the most popular writers in America, publishing over 500 short stories in dozens of widely read periodicals. O. Henry's most famous stories, such as "The Gift of the Magi," "The Furnished Room," and "The Ransom of Red Chief," make simple yet effective use of paradoxical coincidences to produce ironic endings. For example, in "The Gift of the Magi" a husband sells his watch to buy his wife a Christmas present of a pair of hair combs; unbeknownst to him, she cuts and sells her long hair to buy him a Christmas present of a new chain for his watch. His style of storytelling became a model not only for short fiction, but also for American motion pictures and television programs. Writing at the rate of more than one story per week, O. Henry published ten collections of stories during a career that barely spanned a decade. They are "Cabbages and Kings" (1904); "The Four Million" (1906); "Heart of the West" (1907); "The Trimmed Lamp" (1907); "The Gentle Grafter" (1908); "The Voice of the City" (1908); "Options" (1909); "Roads of Destiny" (1909); "Whirligigs" (1910), and "Strictly Business" (1910). The collections "Sixes and Sevens" (1911), "Rolling Stones" (1912), and "Waifs and Strays" (1917) were published after his death. In 1919 the O. Henry Memorial Awards for the best American short stories published each year were founded by the Society of Arts and Sciences. The Complete Works of O. Henry came out in 1953.